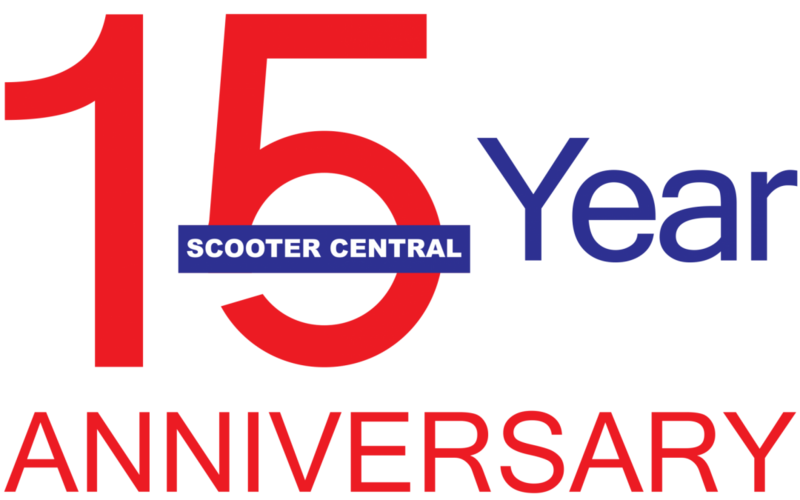 15 Years of Scooter Central! - Scooter Central | Your One-Stop Scooter Shop! 15 Years of Scooter Central! We can’t believe it is our 15th Anniversary this month. 15 years of Scooter Central. It is wild to think about. We are the biggest scooter only store in Australia and carry more brands, more accessories, more rider apparel, more spare parts and even giftware than anyone else. Our team has more than tripled 15 years on and we provide services others can’t such as demos in all models, quality service work, finance, insurance, enewsletters and online shopping. Those are some of the reasons why we are 8 x Motor Dealer of the Year Award Winners and have the highest rating in the industry on Google and Facebook. We are also one of the top dealers for every brand we sell. It has been challenging, fun, busy and crazy at times. Thank you to all of our loyal customers and our awesome suppliers! As part of our celebration we have some fantastic specials in store and online on scooters, accessories, rider apparel, spare parts and giftware. We can’t wait to see what the future holds. Watch this site to see some amazing new products very soon!